Experts are warning that the sudden change in weather could trigger problems with facial thread veins. Extreme temperatures can be a factor in the development of thread veins, which is why those who work outdoors through the colder months often develop facial veins as their faces are exposed to the cold weather. Cold weather in itself tends to make the veins shrink, as your body’s response to cold temperatures is to constrict in order to reduce the flow of warm blood near the skin’s surface, thereby conserving body warmth. However, coming back indoors into the warmth will have the opposite effect, as the blood vessels will rapidly dilate or swell in order to reduce body temperature. The moving from cold to warm and back again means that the veins are going from one extreme to another and back again. Thread veins appear when tiny facial veins widen close to the surface of the skin. 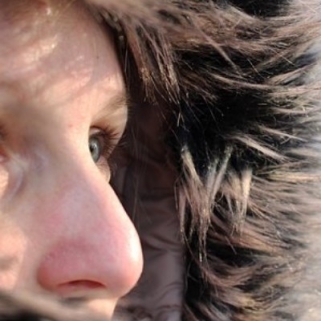 How can we prevent facial thread veins in cold weather? Can thread veins be treated? Yes, thread vein removal is available at Cosmedics’ London Vein Centre using laser or microsclerotherapy. Cosmedics Skin Clinics’ main London Vein Treatment Centres in Harley Street and Putney offer the sophisticated Harmony XL Pro Laser treatment, which targets problem capillaries, vessels or veins with targeted laser energy. This damages the veins so that they shrink, shrivel up and then disappear. Laser energy also works to stimulate healing and cell renewal in the treated area for clearer-looking skin. It is a gentle and effective treatment for facial thread veins on the face. For larger thread veins, microsclerotherapy injections are a popular option. The company also offer micro-cautery treatment. All thread vein treatments are carried out by skilled and experienced doctors. With the addition of the Harley Street clinic in 2018, Cosmedics Skin Clinics now offer thread vein removal treatment at two London Vein Treatment Centres. For more information, please complete the form to the right hand side or call 020 7386 0464.